A deal has been agreed for London Underground staff to receive extra pay for working during the Olympics. 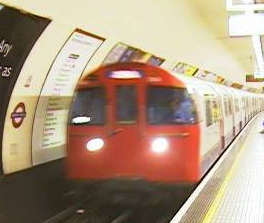 The RMT union said it had reached an agreement with London Underground (LU). It said drivers could earn up to £1,000 while other staff could get up to £850 in recognition of the "massive additional pressures" they will face. The union added that it was still balloting its control staff and its maintenance members on strike action over other pay and condition issues. Some of the workers who were being balloted for industrial action are employed by a contractor, which the union said had rejected a claim for an Olympic bonus. A date has not been set for strikes if members vote to take this action. Transport for London said RMT members now joined those of Aslef and Unite who had signed up to the deal and TSSA, which has agreed in principle. The union said that it still had concerns about the staffing levels planned by LU and the use of untrained volunteers "at a time when safety and security will be absolutely paramount". The union has also repeated its demand for a full-scale, mock emergency evacuation to test the robustness of the safety procedures in operation. RMT General Secretary Bob Crow said: "After months of hard work by our negotiators we have been able to come to an agreement that both protects the contractual rights and existing agreements of our members and rewards them in recognition of what we all know will be the biggest transport challenge ever faced by this city." Howard Collins, LU chief operating officer, said: "I am pleased that we have now got agreement from all four unions on our proposals for how we can fairly reward staff over the London 2012 Games. "I know our staff are keen to play their part in the Games and, now that we have agreement across the board, we can all look forward to focusing on supporting a fantastic summer of sport and cultural events in London."